Suzuki Celerio Interior, Sat Nav, Dashboard | What Car? 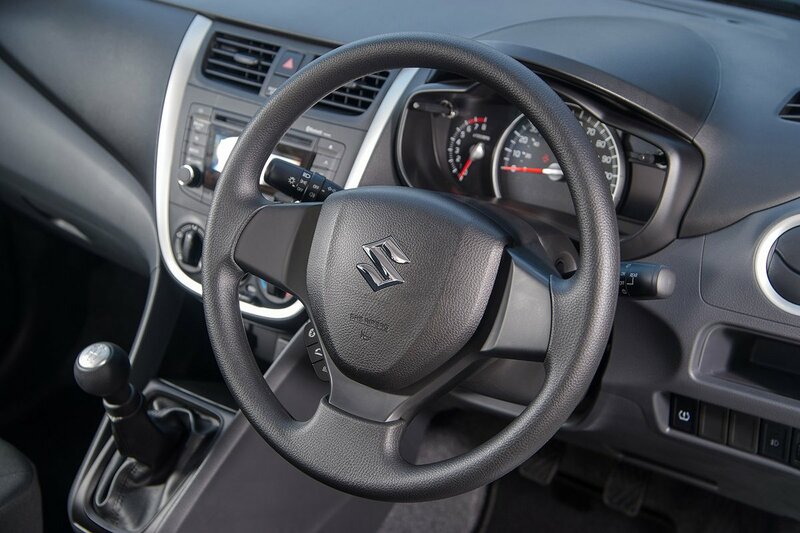 As with almost all city cars, the Celerio’s steering wheel adjusts only for height, not reach. That means you may struggle to find the ideal driving position, although even the cheapest trim comes with a height-adjustable driver’s seat, which is rare in the city car class. The seat is easy to adjust, but it could do with a bit more side and lower back (lumbar) support. Then again, the same criticisms can be levelled at many cars in this price bracket. The dashboard is relatively easy to get to grips with, thanks to the simple rotary controls for the heater (or air-con system on higher trim levels). Relatively slim windscreen pillars give you a good view out of the front, and the side windows are tall and wide enough to avoid obstructing your vision when pulling out of junctions. The window line does rise slightly towards the rear of the car and the rear pillars are fairly chunky, although over-the-shoulder visibility is still pretty decent. It’s just a shame that rear parking sensors aren’t fitted to any version. They aren't available as a factory-fitted optional extra, either; the only way to have them is as a dealer-fit accessory. If you’re hoping for a high-tech colour touchscreen, you’ll be disappointed. The Celerio’s infotainment system does have a small display, but it’s monochrome and difficult to read, making it relatively tricky to tune the radio or find the person you want to dial in your contacts. Go for entry-level SZ2 trim and you get a DAB radio and a CD player. An upgrade to SZ3 trim brings Bluetooth so you can legally make and receive phone calls on the move, and a USB socket to charge your phone and play music stored on it through the rather tinny two-speaker sound system. 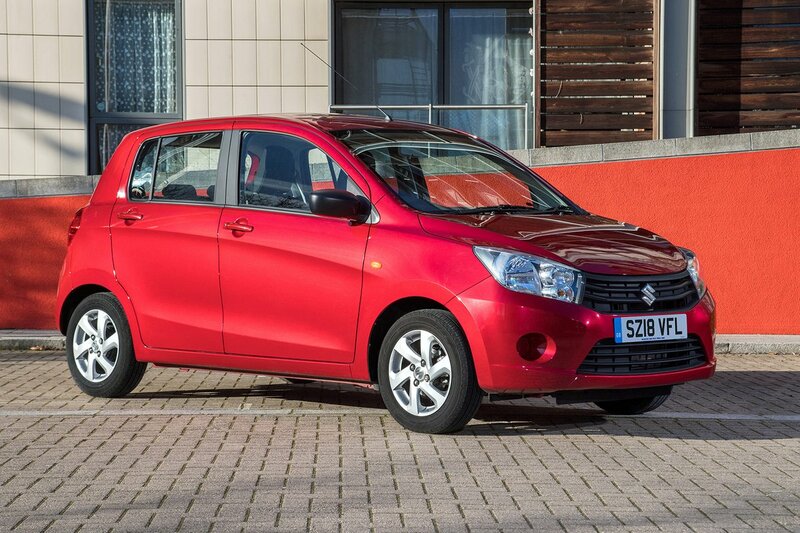 As is the case with most other city cars, the Celerio’s interior is built from hard and unyielding materials. 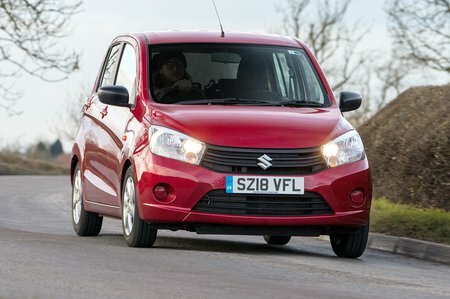 Even by the relatively low standards of the city car class, however, the Celerio’s interior looks and feels decidedly cheap. Everything seems well reasonably bolted together, but the plastics aren’t textured in an appealing way and the steering wheel feels decidedly low-rent. The doors also sound tinny and hollow when you shut them instead of closing with a reassuring thud.